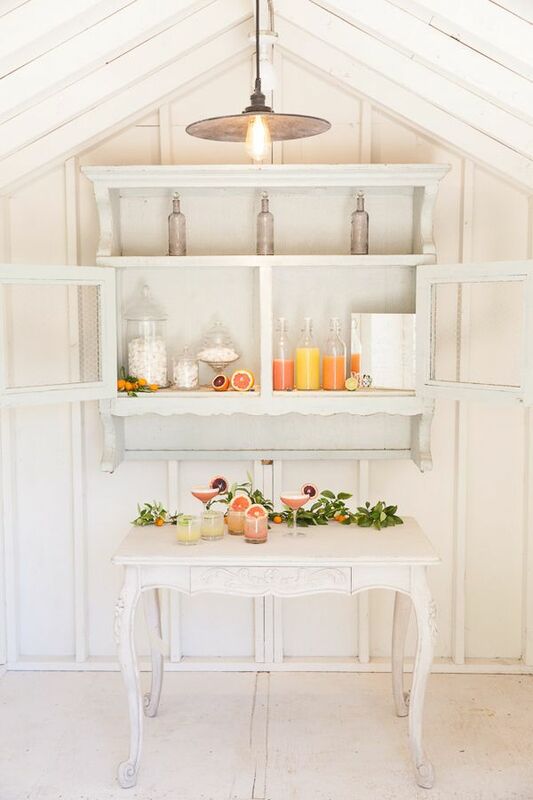 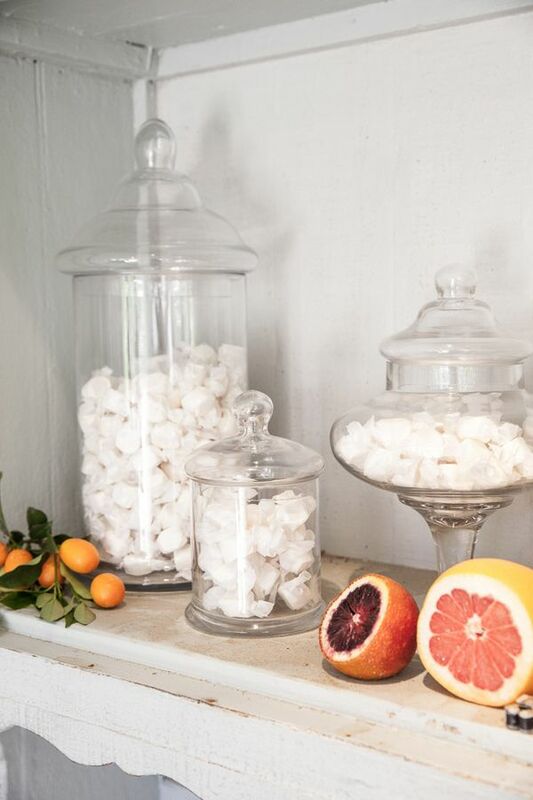 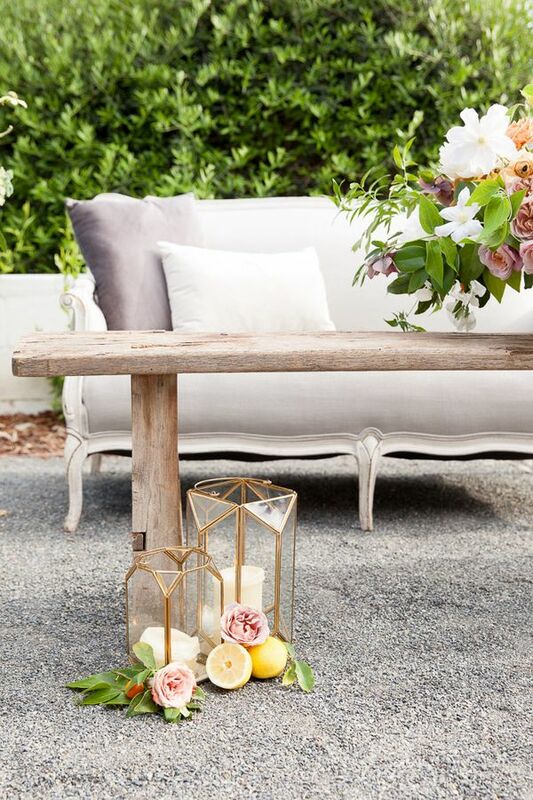 Bright and airy and filled to the brim with gorgeousness, the scenery at Saltwater Farm was the inspiration for this midsummer night's dream with clean lines, pops of citrus, and the warmest of light. 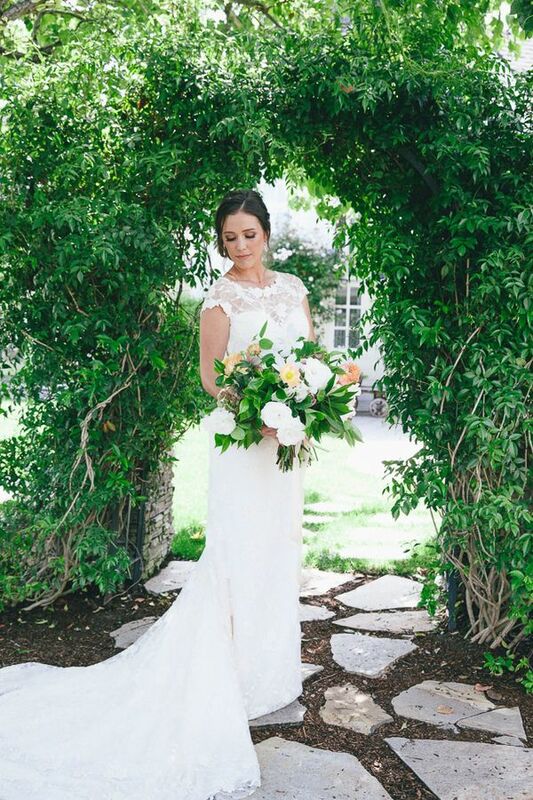 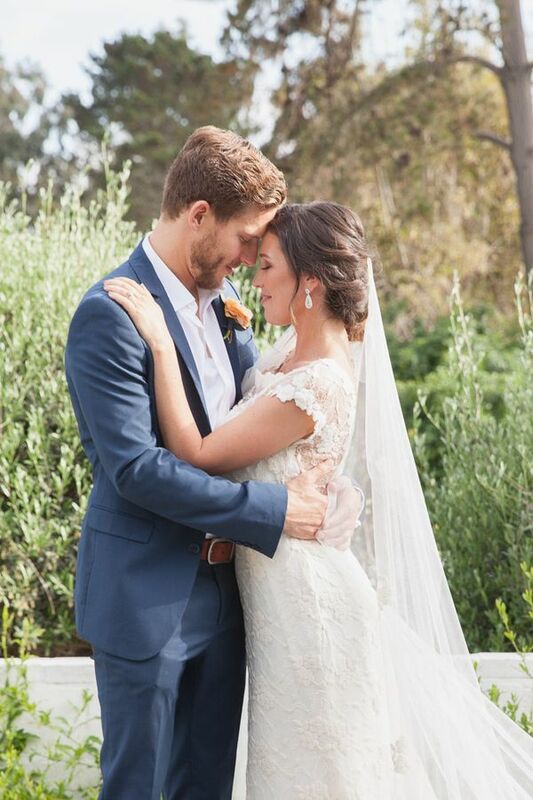 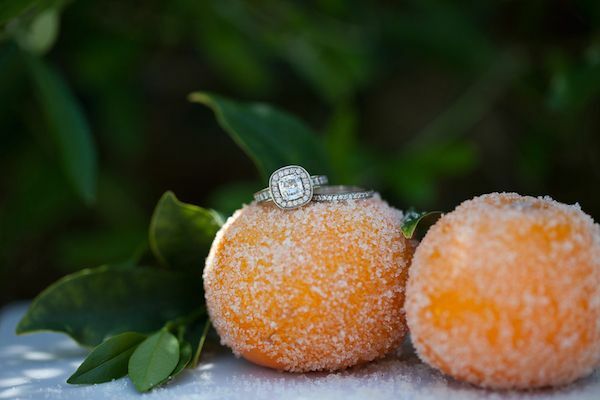 Captured beautifully by Jessica Jaccarino Photography, this sweet shoot is a total must-see! 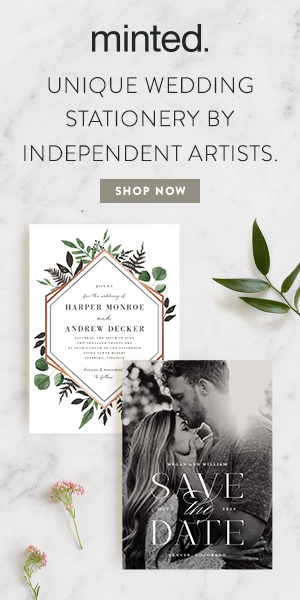 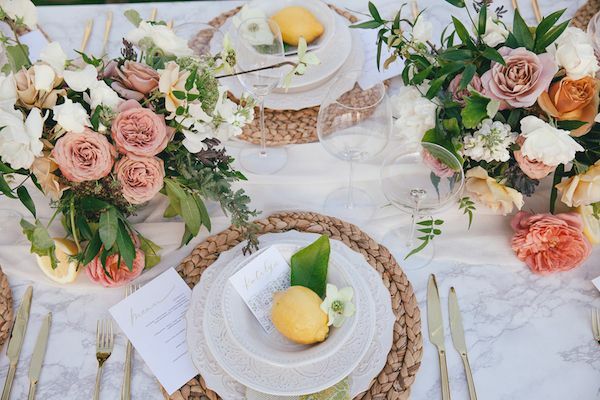 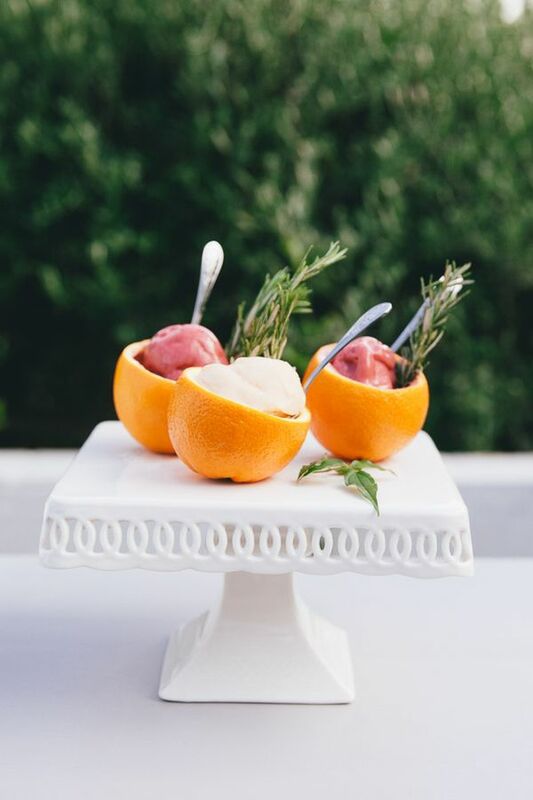 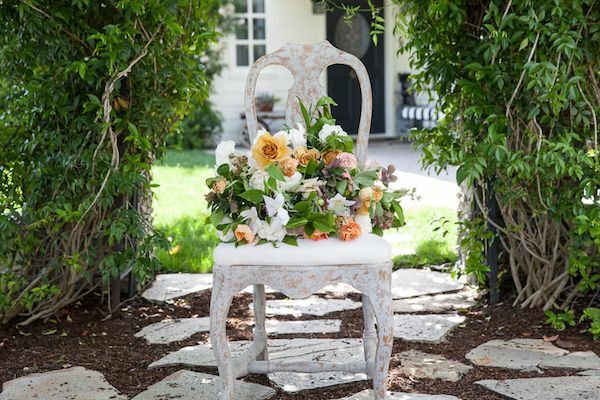 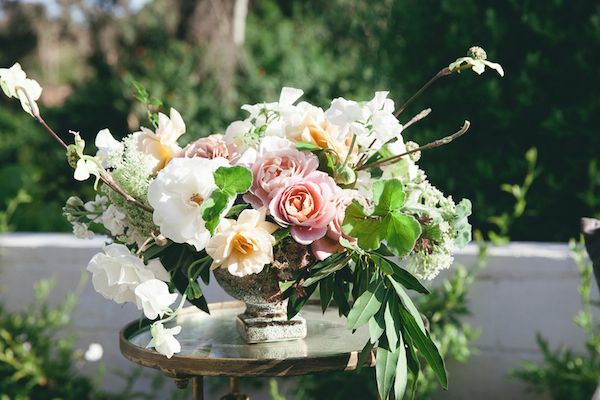 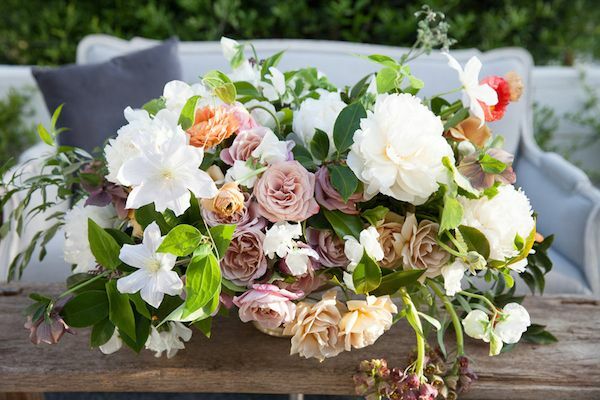 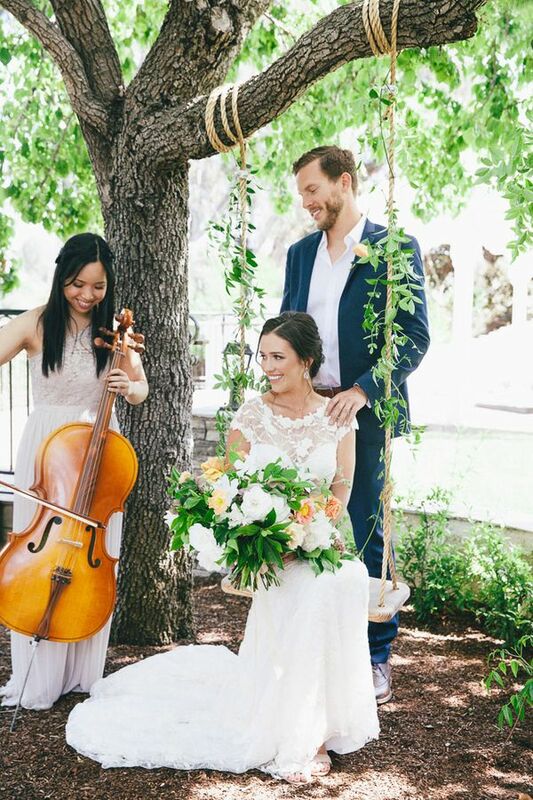 From this team featuring ILoveYouMoreEvents and To Be Designed, "Our color palette pairs dusty rose, pale pinks, white and peach accents with warm grays, pops of citrus, cooled with sage greenery." 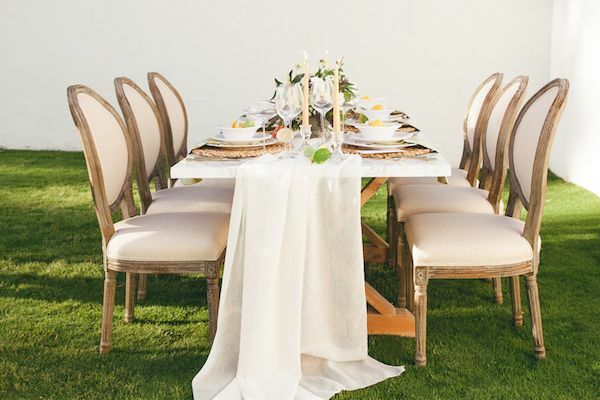 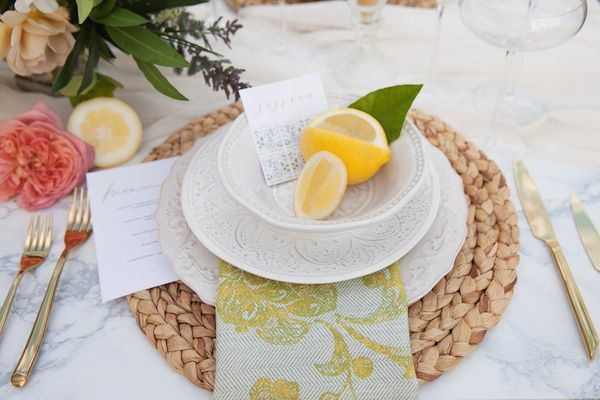 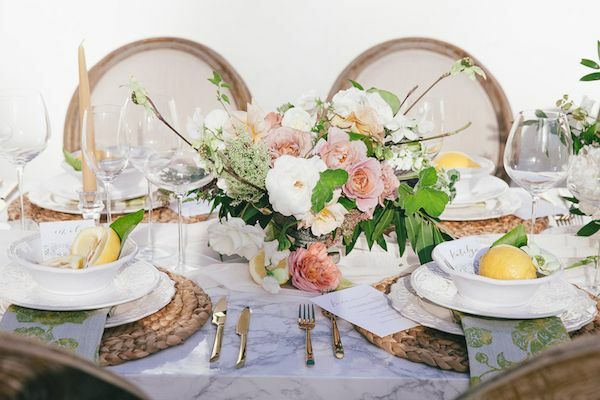 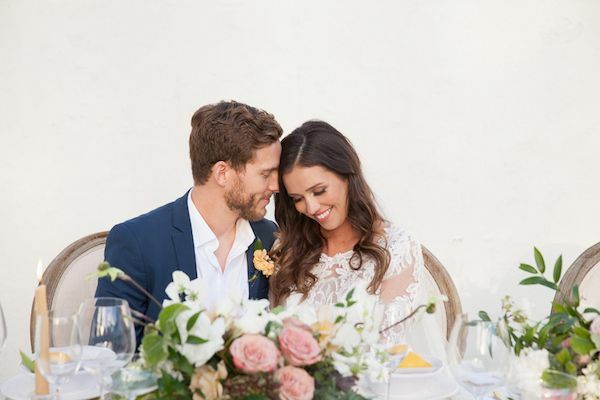 "For our tablescape, we paired simplicity with a summer feel of a modern marble table top with a wooden trestle base, a delicate chevron table runner and rattan place mats with a soft white place setting and gold flatware." 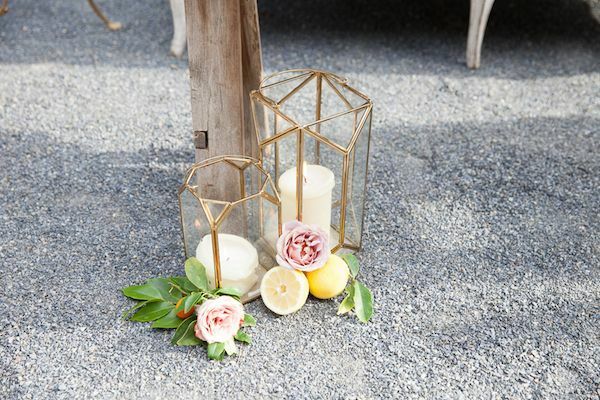 "Ivory candles were lit surrounded by summer citrus, and a soft glow. 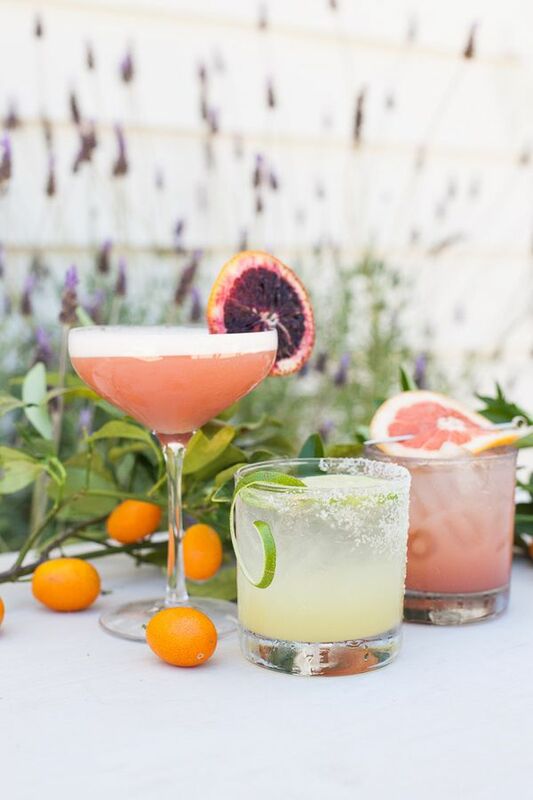 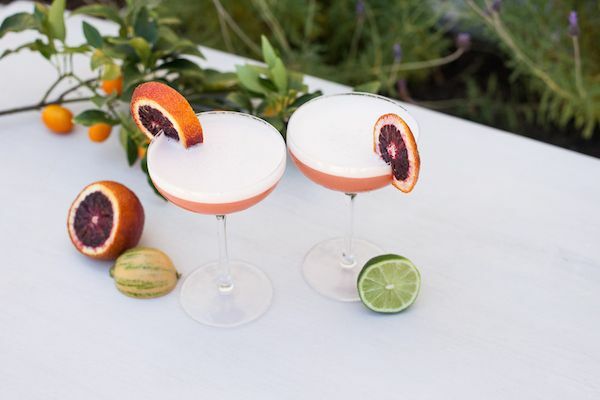 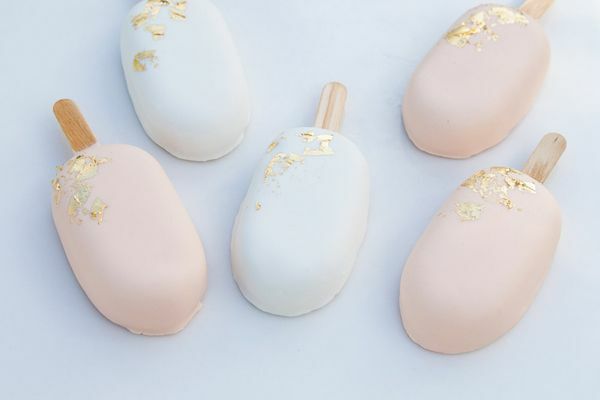 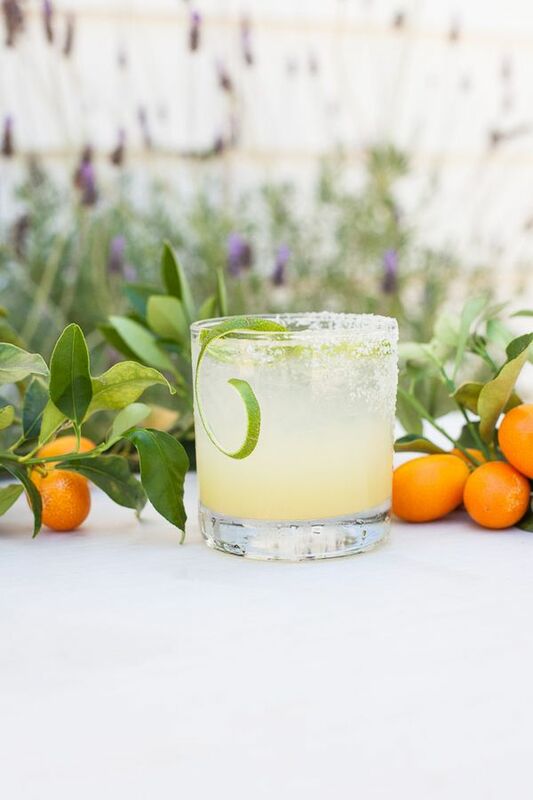 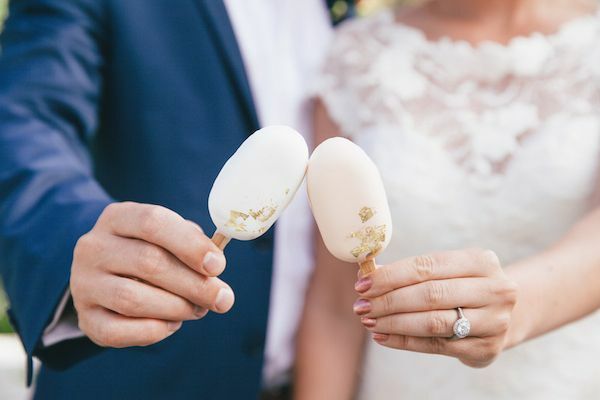 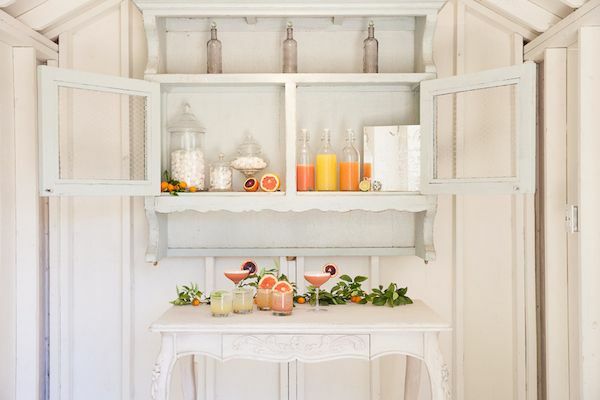 While perfectly paired cocktails by Snake Oil incorporated the sweet flavors and delicate colors of the summer citrus and wedding theme in a delicious treat." 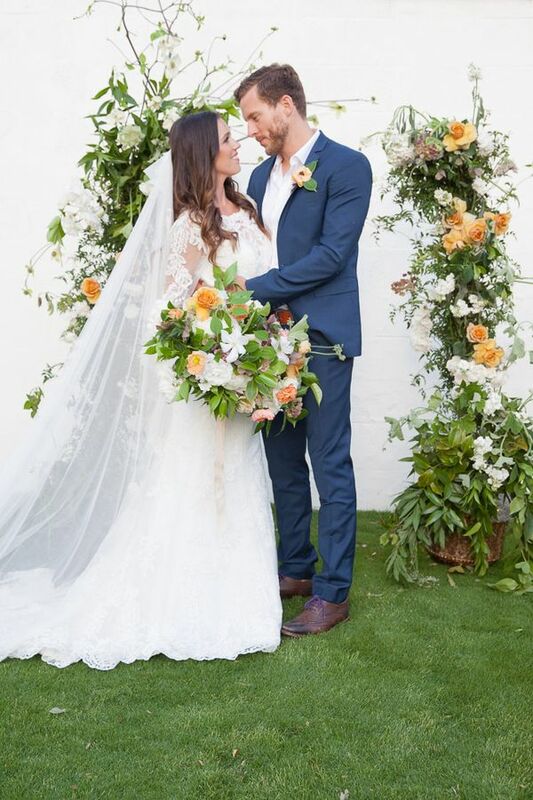 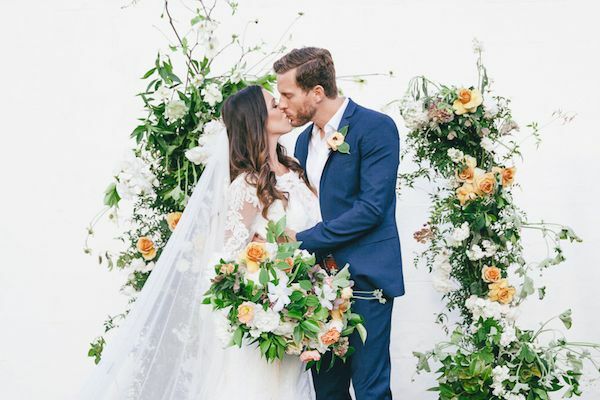 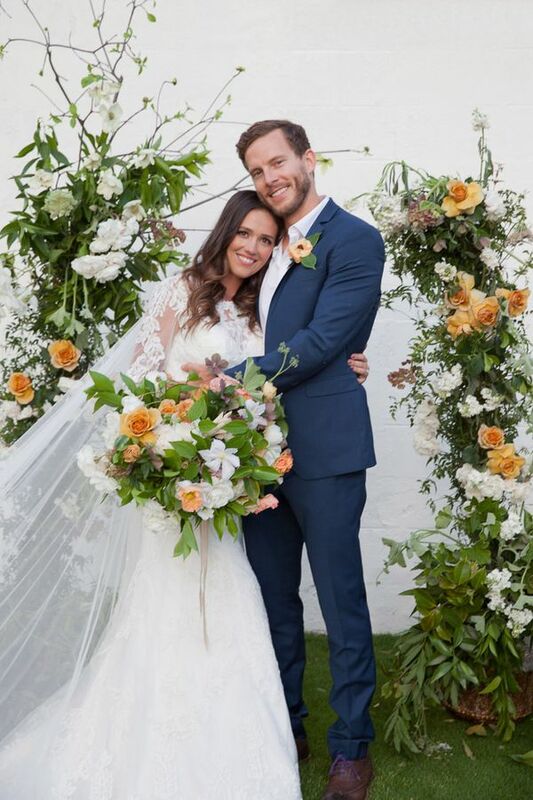 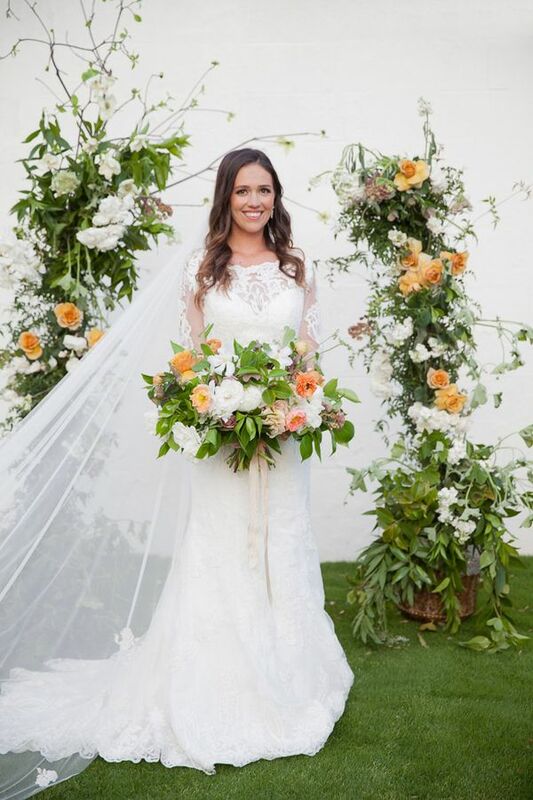 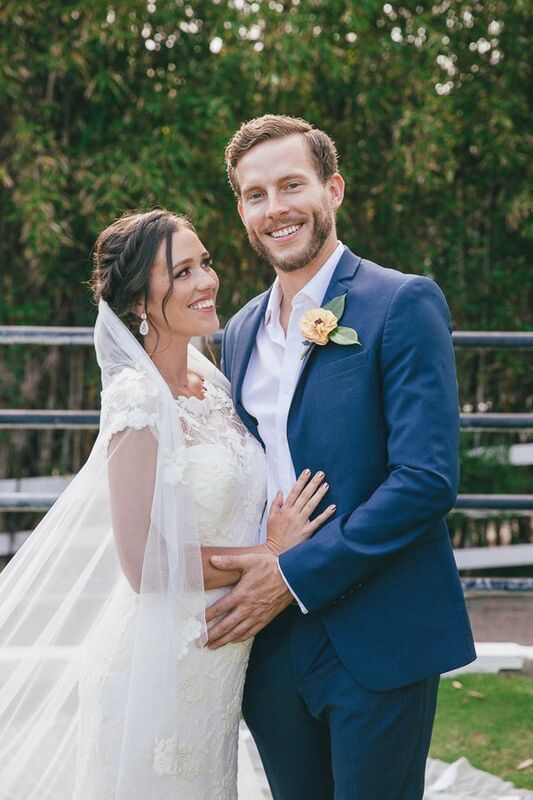 "The ceremony arch was hand made by Organic Flora that framed the couple beneath a romantic fresh floral spray with pops of orange surrounding the couple with blooms." 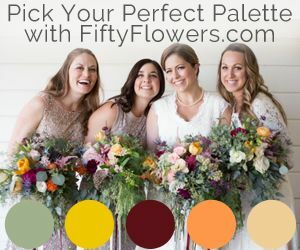 "Our models, (a real couple and very much in love), bring their sense of appeal and playfulness to the elegance of the scene." 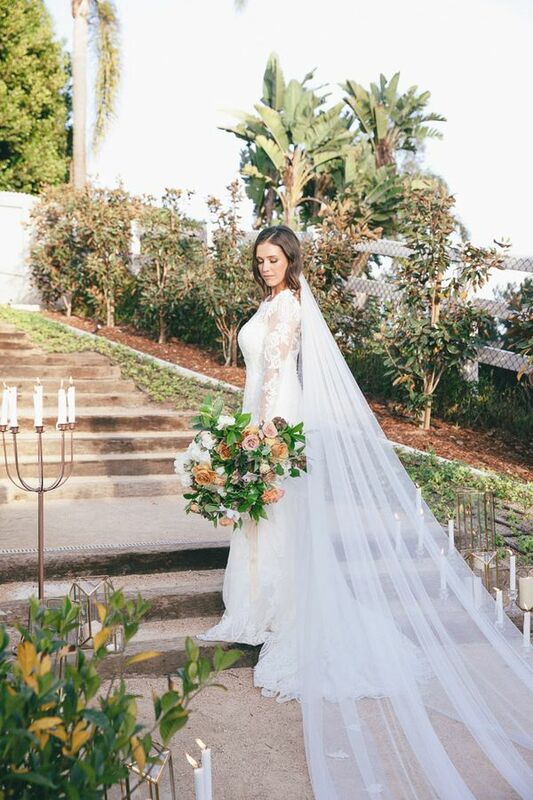 "Showcasing two looks with a Guipur and Chantilly lace dress by Rosa Clara with a dramatic cathedral veil wrapping up the night in a romantic lace sleeved dress both by H. Kles bridal couture." 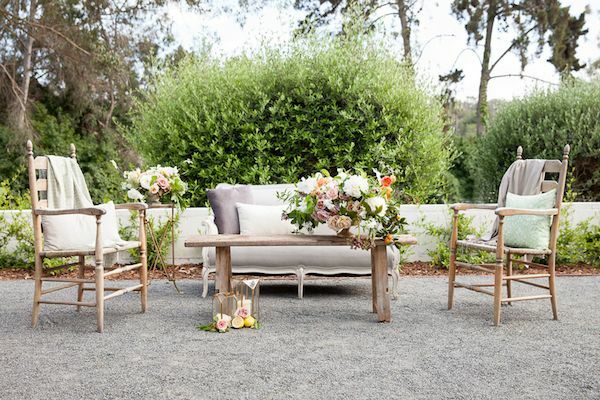 "True California beauty at a posh, summer evening celebration." 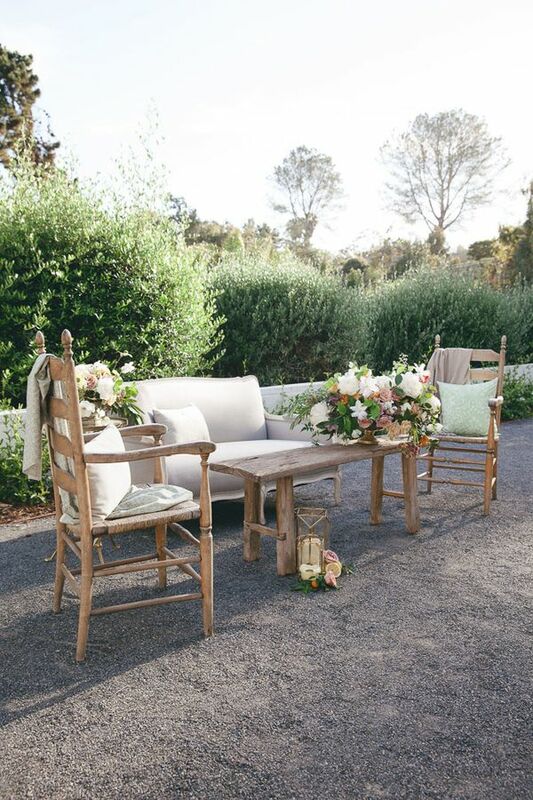 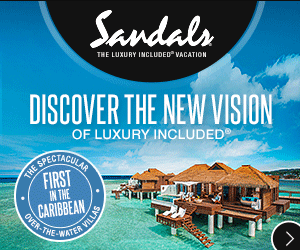 "Seated on the wooden deck chairs, the couple enjoys a romantic moment together to take it all in before enjoying a newlywed dinner to wrap up the affair." 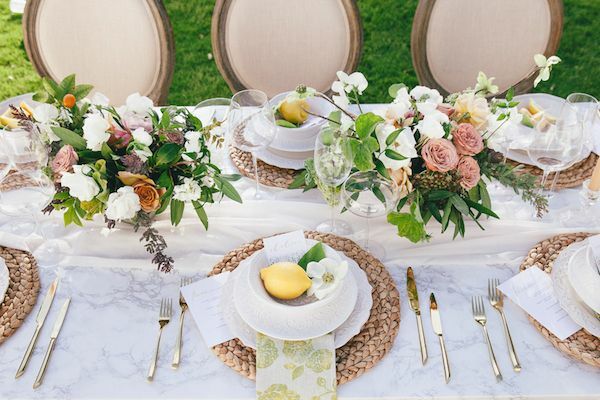 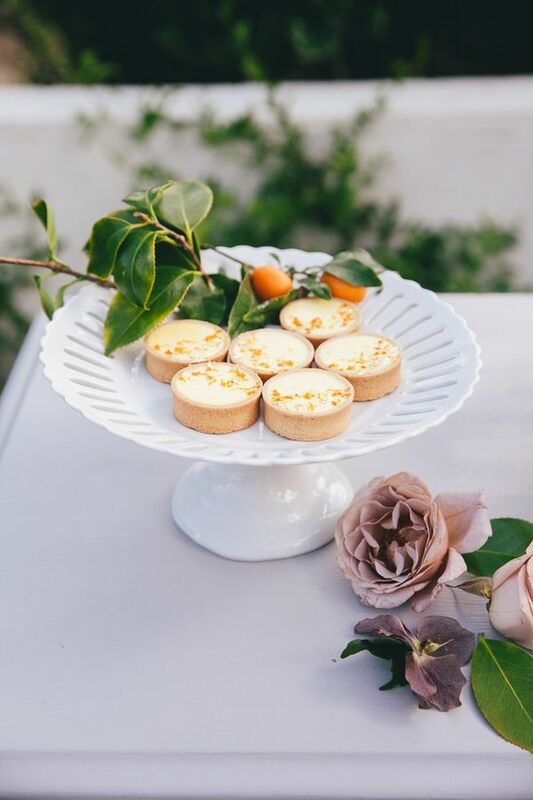 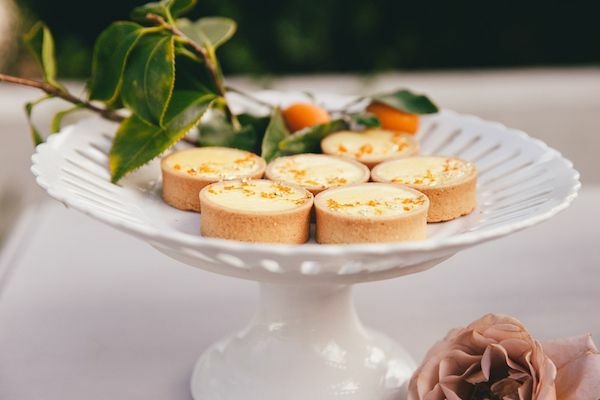 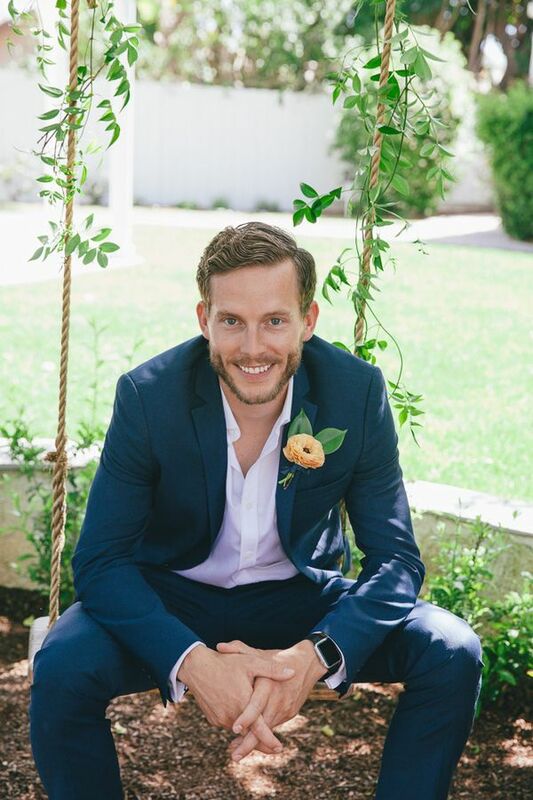 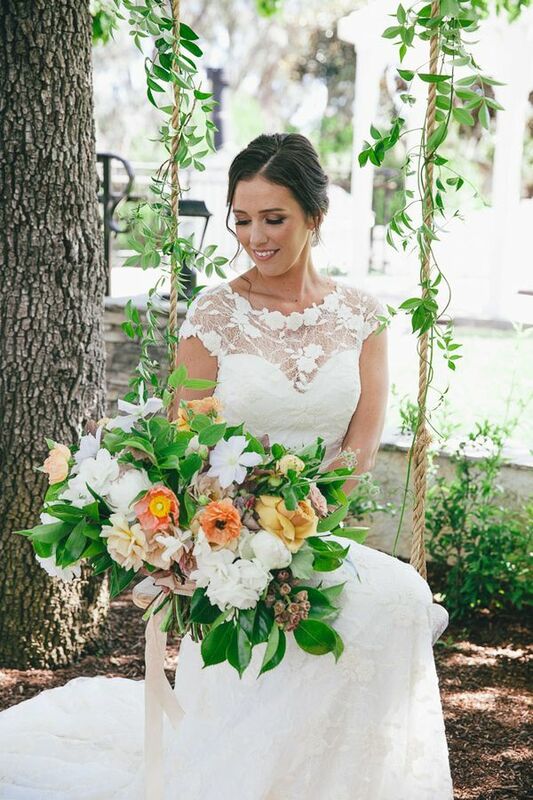 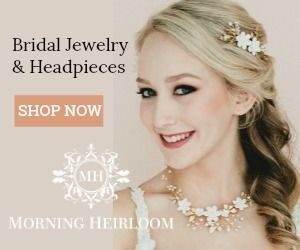 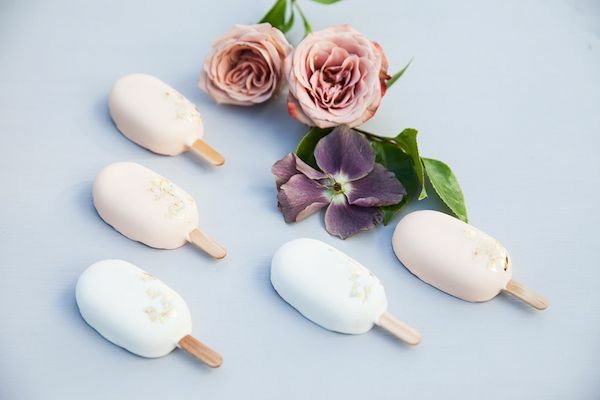 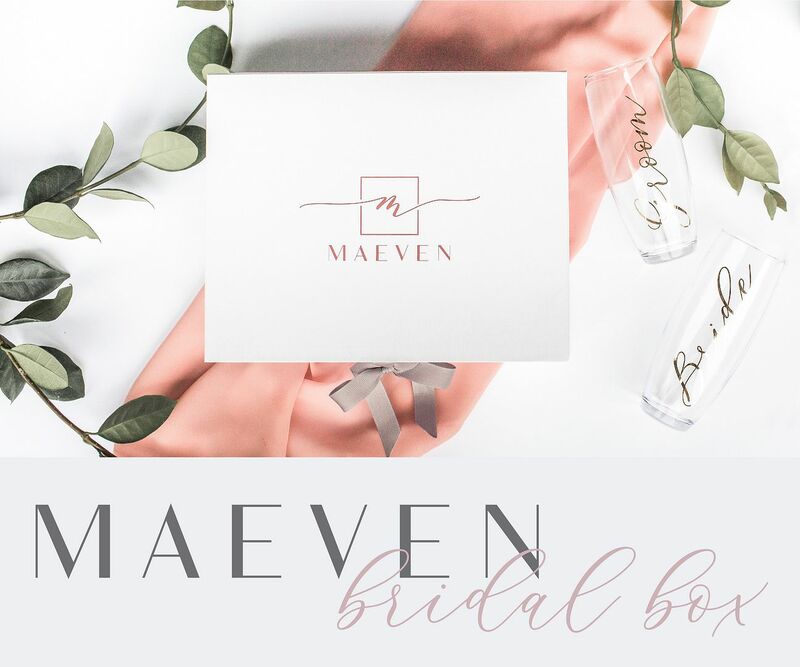 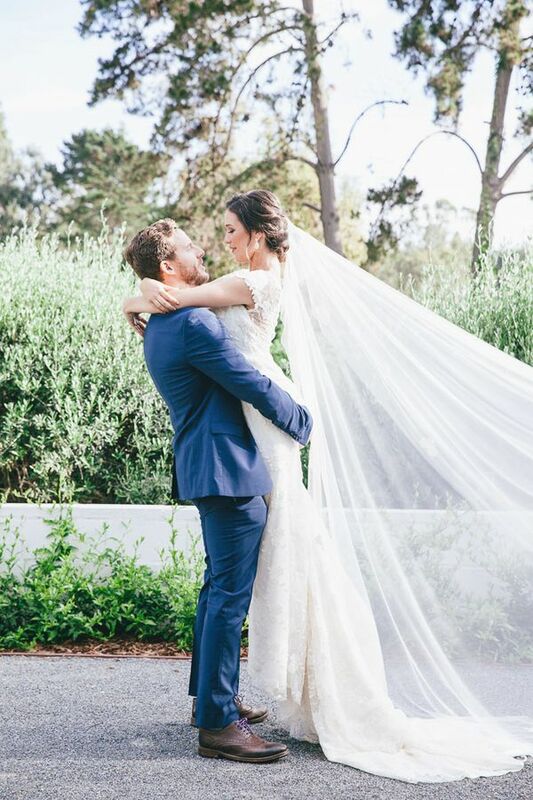 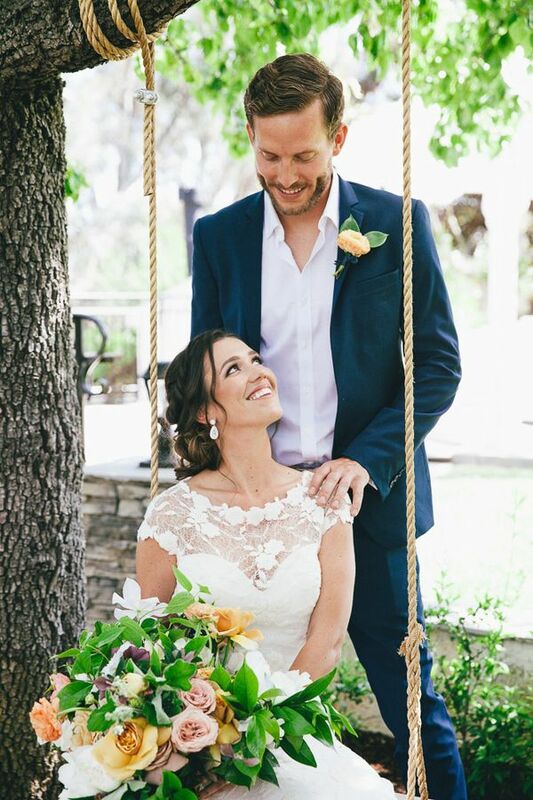 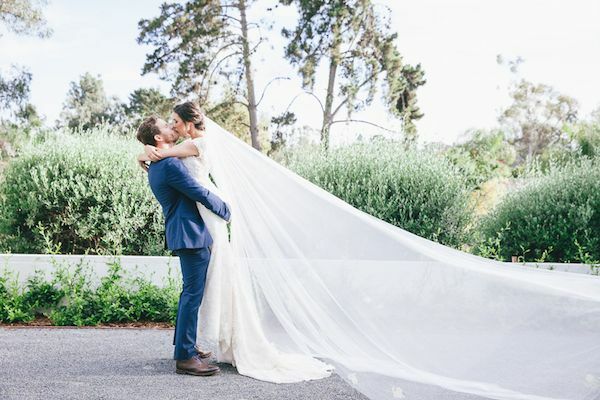 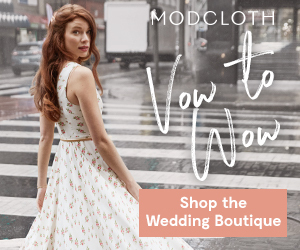 "Overall the shoot aims to bring together a fresh pairing of modern elegance with a summer inspired luxury to create a warm, romantic wedding inspiration with a touch of citrus and plenty of pretty." 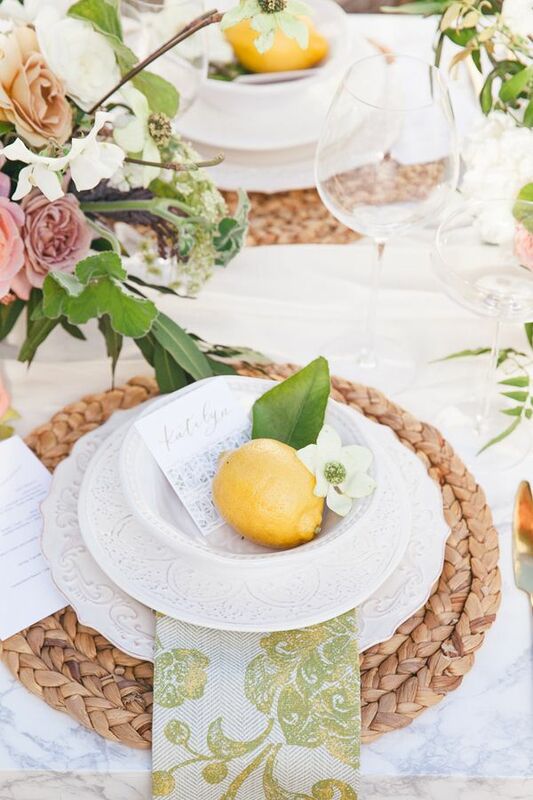 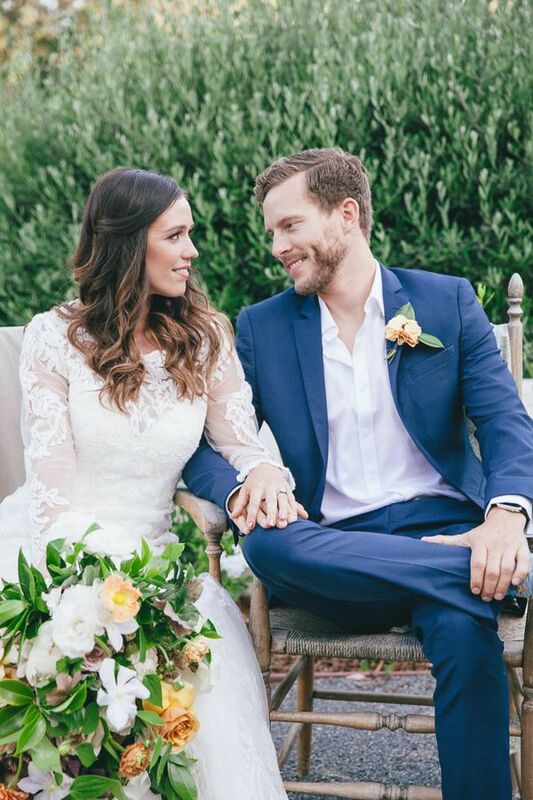 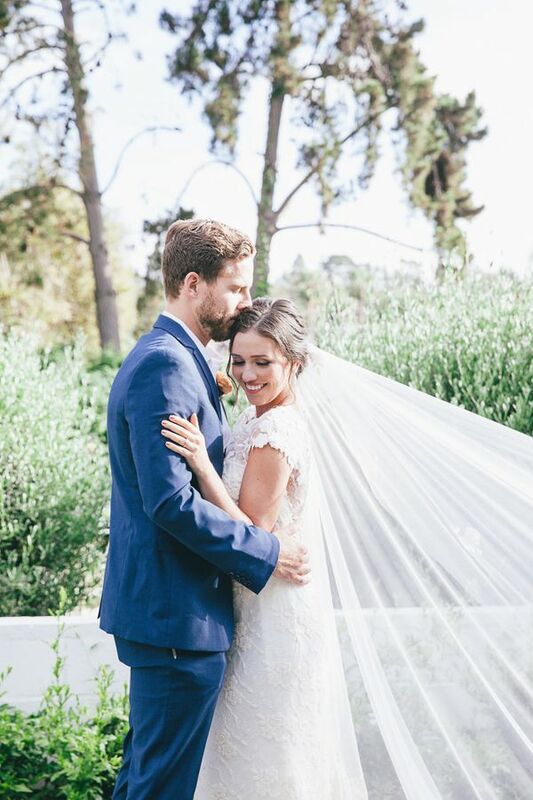 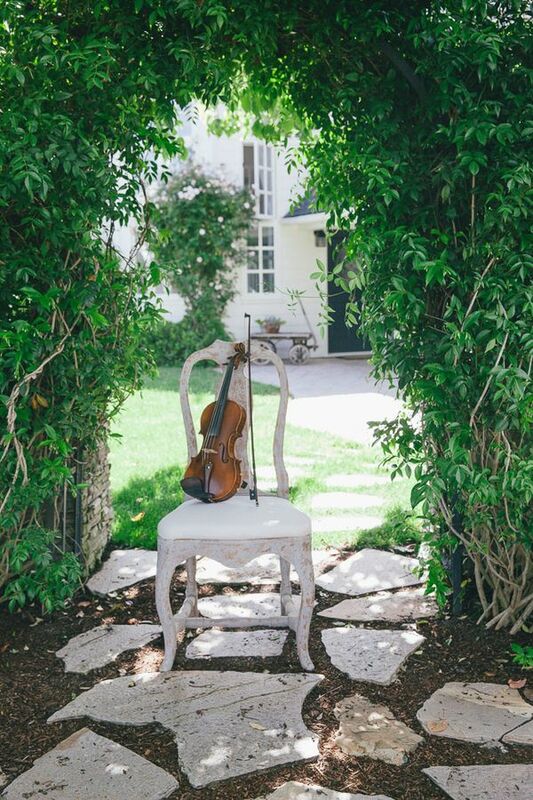 A romantic summer backdrop was perfectly contrasted with a modern pop of clean white coupled with a muted Southern California greenery. 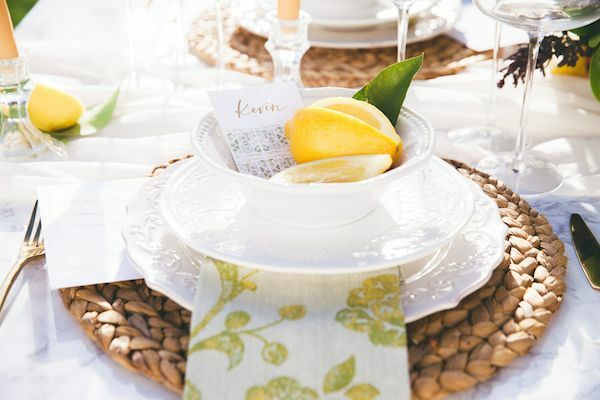 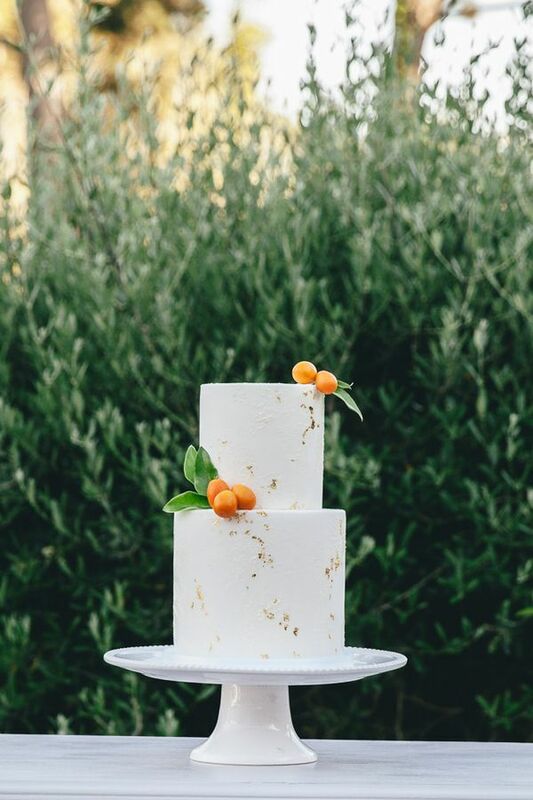 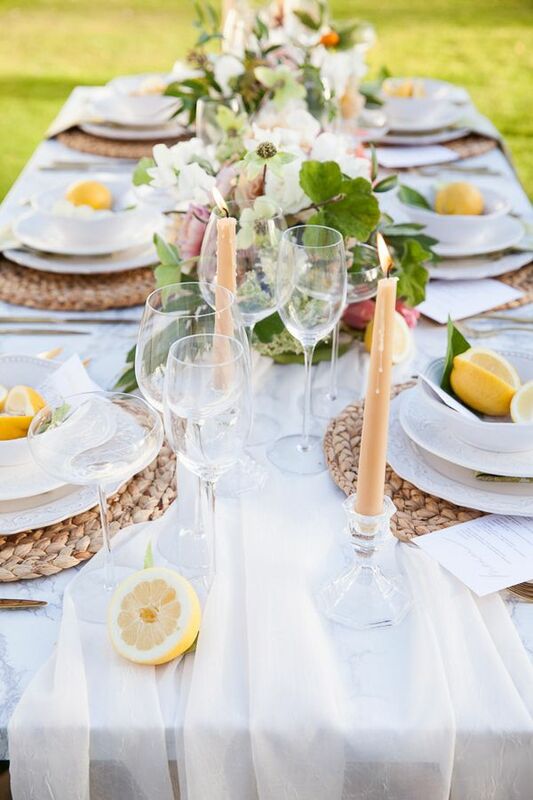 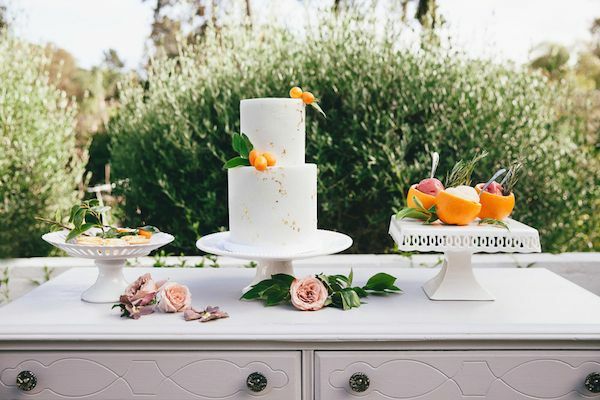 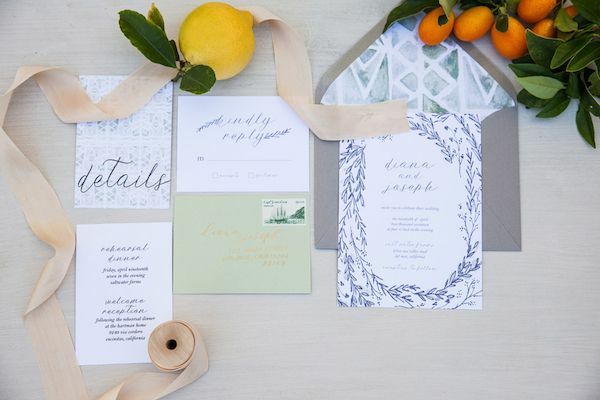 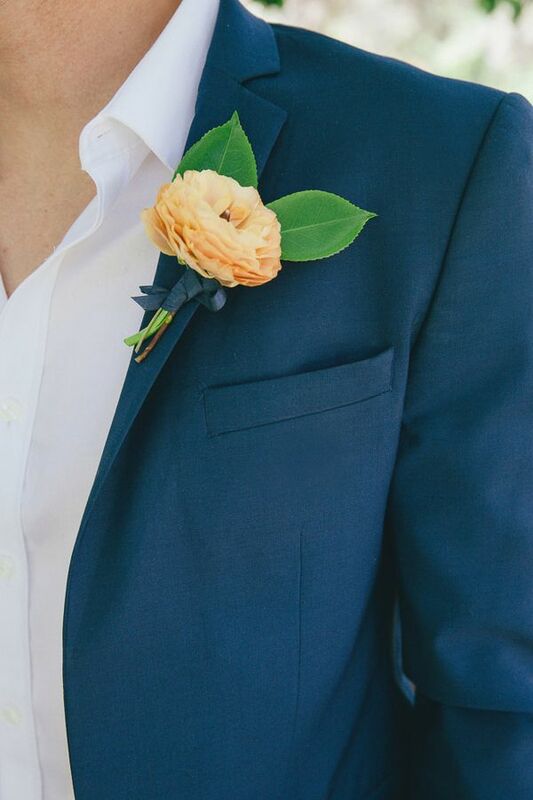 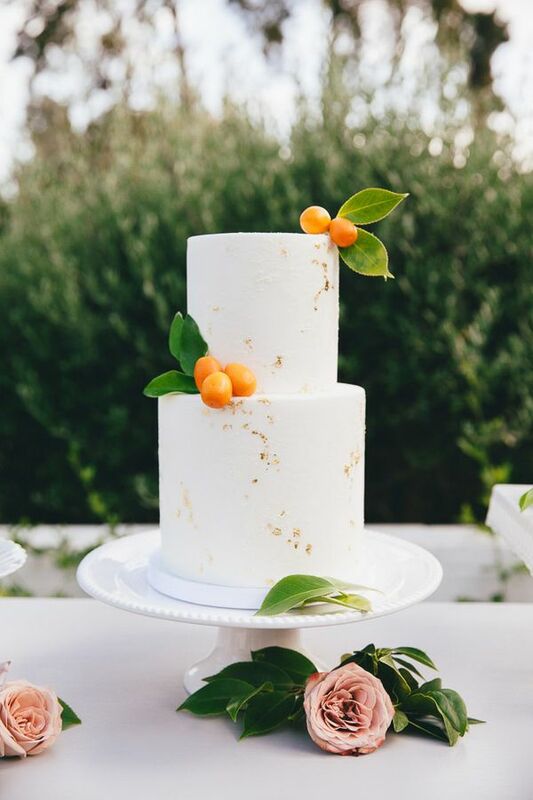 1 One Comment " A Citrus Inspired Summer Wedding "
The photographs are really good. 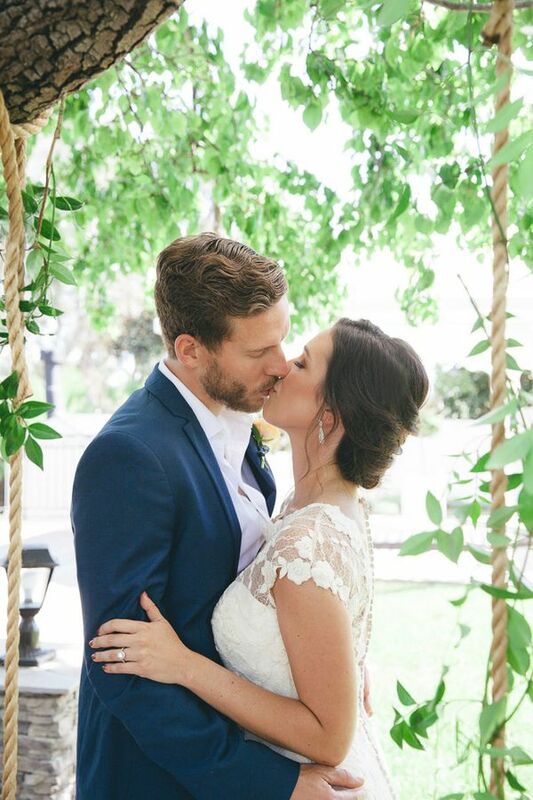 Wedding photographs are the sweet moments of the couples. 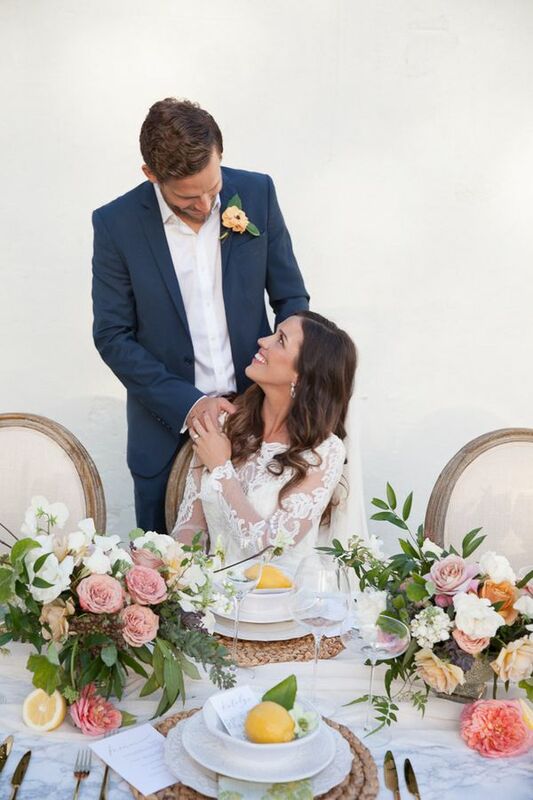 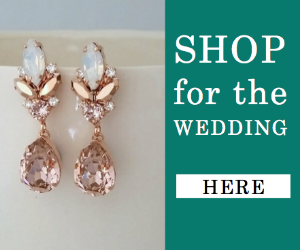 A wedding is typically one of the most memorable days in a lifetime, one that people remember for quite a long time to come. 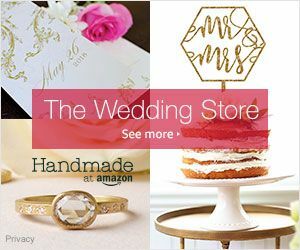 The wedding photographer will visit the place before the wedding. 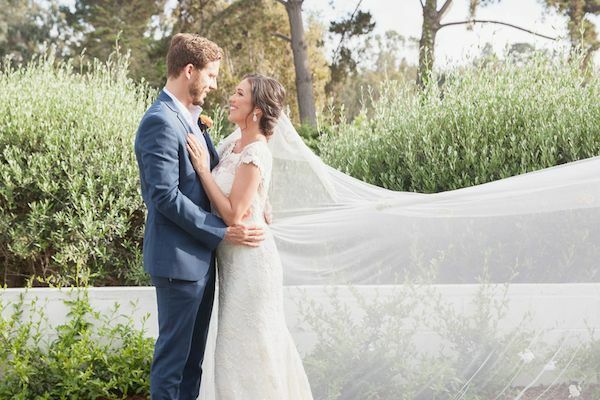 A wedding photographer will normally just pick the best pictures, disposing of ones that are unsuitable. 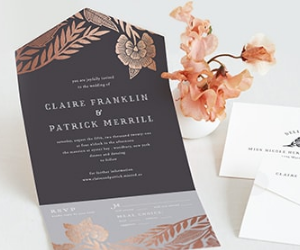 This one is very attractive and excellent. 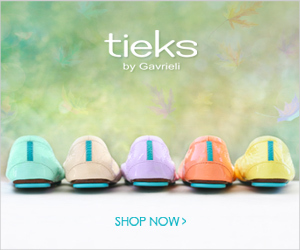 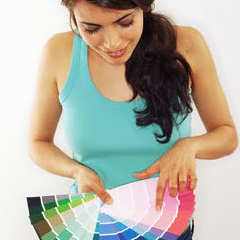 I am a writer at best essay writing and I love visiting your site on my free time.